Bilbo Baggins was a hobbit who wanted to be left alone in quiet comfort. But the wizard Gandalf came along with a band of homeless dwarves. 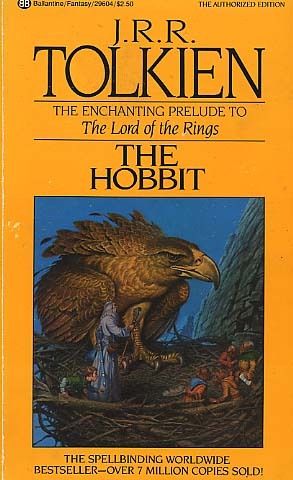 Soon Bilbo was drawn into their quest, facing evil orcs, savage wolves, giant spiders, and worse unknown dangers. Finally, it was Bilbo--alone and unaided--who had to confront the great dragon Smaug, the terror of an entire countryside!